CURE's newly launched book is also freely available at irri.org. VIENTIANE, Laos—A new book that documents success stories as well as lessons learned from the work to help farmers in unfavorable rice environments of Asia was launched by the International Rice Research Institute during a review and planning meeting of the Consortium for Unfavorable Rice Environments (CURE) on 9-11 May 2017 in this Laotian capital. The book, titled, Climate-ready technologies: Combating poverty by raising productivity in rainfed rice environments, shares in detail the challenges, lessons learned, and cases of success in Bangladesh, India, Nepal, Cambodia, Indonesia, Laos PDR, Myanmar, the Philippines, and Thailand. Rainfed rice areas, largely considered unfavorable because of lack of irrigation, are also home to millions of farmers who live in poverty and rely on rice farming for their livelihood. These areas are unstable and have low productivity, ranging from an average across years of 1–2.5 tons per hectare because of the constraint presented by multiple environmental stresses, such as drought followed by flood. “The Consortium has worked to improve lives in resource-poor rice communities by building a network of networks and linking groups and individuals facing similar constraints,” said CURE Coordinator Digna Manzanilla. The book also offers insights into drivers of change and enabling factors—social, cultural, economic, environmental, and institutional—that helped partner countries benefit from technologies and make an impact in unfavorable rice environments. While farmers in several partner countries have limited access to seeds, for example, rice farmers in India, Bangladesh, and Nepal have faster access to newly-developed high-yielding, climate-ready varieties because of a regional seed cooperation agreement that expedites the release and dissemination of rice varieties to farmers in stress-affected areas. Laos’ agri chiefs received first copies of CURE's latest book, Climate-ready technologies: Combating poverty by raising productivity in rainfed rice environments): (L-R) Digna Manzanilla, CURE coordinator; Bounthong Buoaham, director general of the National Agriculture and Forestry Research Institute (NAFRI); David Johnson, head, IRRI-CESD, and former CURE coordinator; Xaypladeth Choulamany, director general of planning and cooperation, Ministry of Agriculture and Forestry of Laos; Chay Bounphanousay, deputy director general of NAFRI and Laos representative to the CURE Steering Committee. 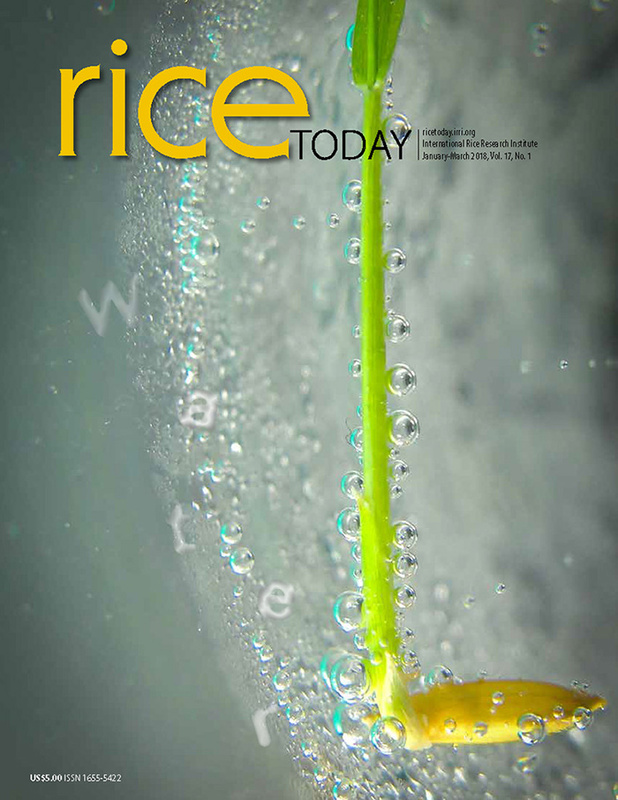 “Although one country’s experience may be unique from another in terms of specific contexts, we see this exchange of experiences as contributing to innovative ways of thinking about how we can overcome many of the constraints and challenges facing rainfed rice environments,” said David Johnson, who also formerly managed CURE and is currently head of IRRI’s Crop and Environmental Sciences Division (CESD). “There is rarely a clear-cut path to overcoming any challenge and raising rice productivity in rainfed environments, but by looking at what worked and what did not work from the experiences shared by our country partners, we can find ways to make rainfed rice environments less challenging,” Dr. Johnson added.